Frederick County is the largest county in Maryland in terms of square miles, but the population density is actually quote low compared to other areas in the state. The total population in the county is roughly 250,000 residents. The criminal defense lawyers at The Herbst Firm handle all types of criminal cases in the county. We are willing to travel to meet you in order to discuss your case regardless of whether you live in the city of Frederick or in the towns of Emmitsburg or Mount Airy. The Firm’s criminal lawyers are available 24 hours a day to offer a free consultation about an arrest, a criminal citation, or even a pending criminal investigation. Call 410-207-2598 to speak with a criminal lawyer. While violent crime in Frederick County is relatively low, there are a large number of criminal incidents reported to police each year. In 2011 there were about 10,000 police incident reports, which translates to about 1 incident for every 25 people for the year. This number is not out of the ordinary for a mostly suburban county in the state of Maryland. The 2011 numbers for arrest reports is also consistent with typical suburban areas, as there were about 3,500 arrest reports generated last year, which indicates that 1 out of 3 incidents were serious enough to warrant an arrest. County police typically do not issue criminal citations. In misdemeanor cases such as possession of marijuana or shoplifting, the police in Maryland have the option to issue a ticket rather than arrest the suspect. Last year only 133 criminal citations were issued, so the chances are that if a police officer believes a person committed a crime, he or she will make an arrest. This is not a policy that the criminal defense lawyers at The Herbst Firm agree with, but it is simply the reality. If you are arrested a criminal lawyer can still take measures to assure that any record or your arrest or of DNA sampling is expunged. Law enforcement in the county is for the most part handled by three police agencies. 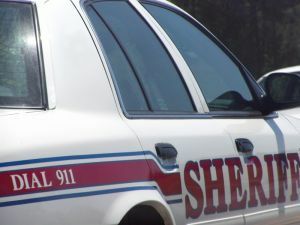 The County Sheriff’s Office has the largest law enforcement presence in the county, followed by the Frederick County Bureau of Investigation, and then the Maryland State Police. The most common types of cases that these law enforcement departments handle are misdemeanor DUI and drug possession cases. The county has set up a special narcotics task force to handle the large amount of drug investigations, and the task force’s responsibilities include carrying out search warrants, seizing drug and property evidence, and making arrests. To give you an idea of how common drug offenses are compared to other crimes, county law enforcement took about 7,000 items into evidence for all criminal cases last year and 2,000 of these items were controlled dangerous substance or CDS items. Law enforcement only took 296 firearms into evidence during the same time frame. The most common types of felony offenses in the county are theft, burglary, and sexual offenses. If you or someone you know has been arrested, cited, or is under investigation for a crime in Frederick County call the criminal lawyers at The Herbst Firm for a free consultation.